The promotion and advertising of businesses through the digital media is called digital marketing. Digital media refers to the mobile phones, television, radio, social media and the websites. The traditional non digital media are usually the transit signs and the billboard advertising points. Thus, any marketing that is delivered electronically is referred to as digital marketing. The person to person marketing and the print advertising is out of the digital marketing arena. Yet, these posters, billboards, print directories, direct mails and print ads refer to the digital marketing counterparts. Landing pages, banner advertising, text codes, online directories and other methods of advertising and branding will all have some digital marketing connection. The consumers, business owners and the marketing agencies have all shifted their attention to digital media. There is a continuous growth in this field and most of the digital media that involves the websites, social media and mobile advertising is kept track on seriously for the progress of the business and promotions. Digital advertising is a must for many because of its fast pace. They would not thumb through the pages of a book anymore. The hand held computers or mobile phone devices are enough to update up nowadays. Whether you have a large, medium sized or a small business all it matters is, how you market your products. This can also be done through quite low cost channels that run digitally. Your website will be your efforts for marketing. You can invest in your website and be sure that it undertakes some specific functions. It represents your business, messaging, look and feel and branding aptly. It helps speak to the target audience. It can be found on top on search engines by searchers. It is navigable and easy to update. It provides channels for customer communication. It helps connect to all other marketing efforts. How to Increase the Facebook Likes? Facebook is one of the most visited social networking sites. 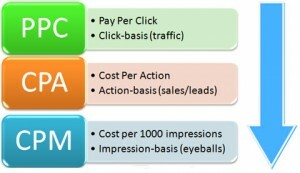 It has also become a hub for online marketing. For getting the success on the facebook marketing there must be a community. The community should have the members that are actually interested in your business and share your content like- mindedly. 1. Complete Business Profile: The first thing that people notice is your profile. Make a very catchy profile and ensure to categorize it appropriately. Also list your phone number and address. This will make the followers aware about you and in return increase the number of likes. 2. Ask friends and partners: Donâ€™t hesitate to ask you business partners and friends to like your page. This will give the higher credibility and visibility. This will make other aware about your business page. 3. 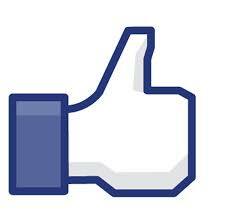 Facebook Ads: Putting ads on Facebook is the great way to increase the number of likes. You must go ahead and experiment with different types of ads best suited for your organization. 4. Engaging Content: it is important to post regularly an engaging content which is interesting and entertaining. If your followers feel interested I n the content they will tend to share it on their own page and that will get even more awareness and likes for your page. 5. Be Active: The best practice to stay alive on Facebook is to be active. Make sure to post the images and content on regular basis so that people donâ€™t forget about your page. So, the above tips are really helpful to increase the likes of Facebook with one major mantra â€“ to be prompt and active. 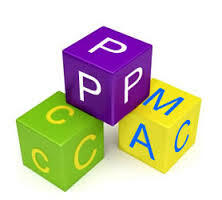 We will suggest you to follow given tips in order to make your page popular among huge mass.